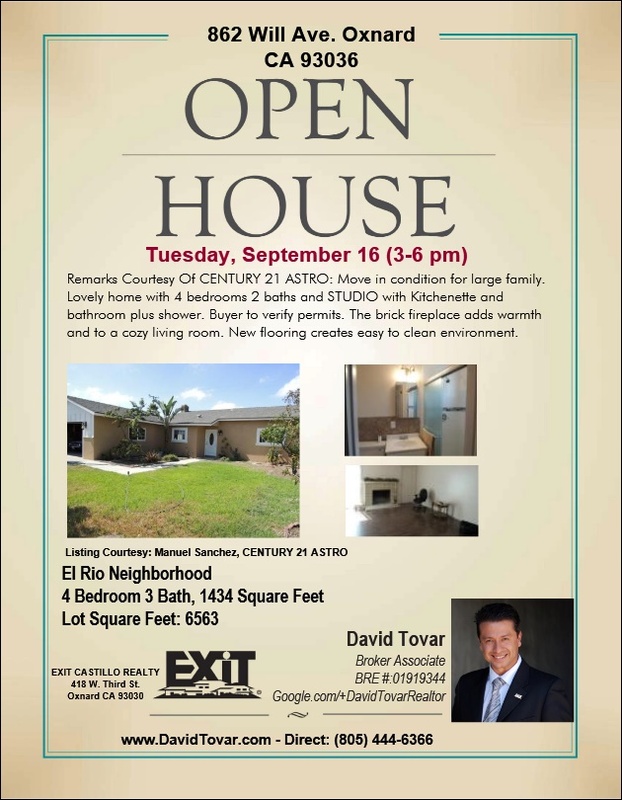 You are all welcomed to my Open House this Tuesday, September 16, 2014 from 3 to 6 pm located at 862 Will Ave. Oxnard CA Home for Sale. Come see this beautiful and spacious house in the El Rio Community. Listing courtesy of Century 21 Astro. Please bring your family, friends, and pets if you wish. Everyone is welcomed. This is a must see to appreciate property. 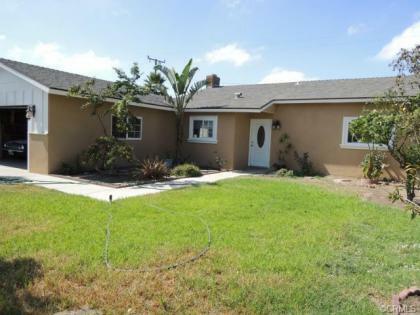 The property is located near schools, shopping and the US 101 Freeway. Remarks Courtesy of Century 21 Astro: Move in condition for large family. Lovely home with 4 bedrooms 2 baths and STUDIO with Kitchenette and bathroom plus shower. Buyer to verify permits. The brick fireplace adds warmth and to a cozy living room. New flooring creates easy to clean environment. This home includes a 2 car garage plus added storage area. There is public sewer connections and no cesspool.The home has fresh interior and exterior paint. Must see to believe. Hurry! at this price the home will not last long. For more details or to schedule a private showing please feel free to call or text me directly at (805) 444-6366.